Cable protection products are designed for protecting cables from harsh environments and also keeping cables under control, preventing accidental tripping or disconnections in your environment. Here are just five (5) ways KT can help you protect your cables. slip it into the split loom without having to remove the whole cable or wire bundles helping maintain a safe and hassle free environment. Split Loom Tool Available for easy application! Available in Bulk Rolls: KT Split Loom is available in bulk rolls including 30M, 50M, 100M, 150M, 250M and 400M. Roll sizes vary depending on the size of the loom. will help avoid those costly breakdowns due to wear on your cables and hoses. 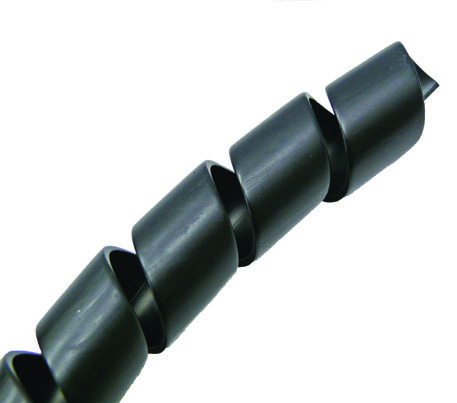 When installing Spiral Wrapping, an increased gap between spirals will provide for greater economy and flexibility. Where spirals butted tightly with little or no gap will provide for maximum abrasion resistance, insulation protection and greater rigidity. 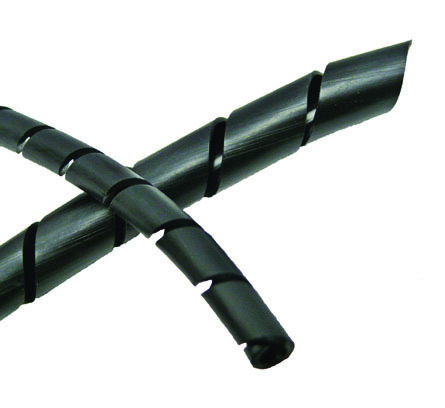 The ends of your spiral wrap application can be secured with cable ties. 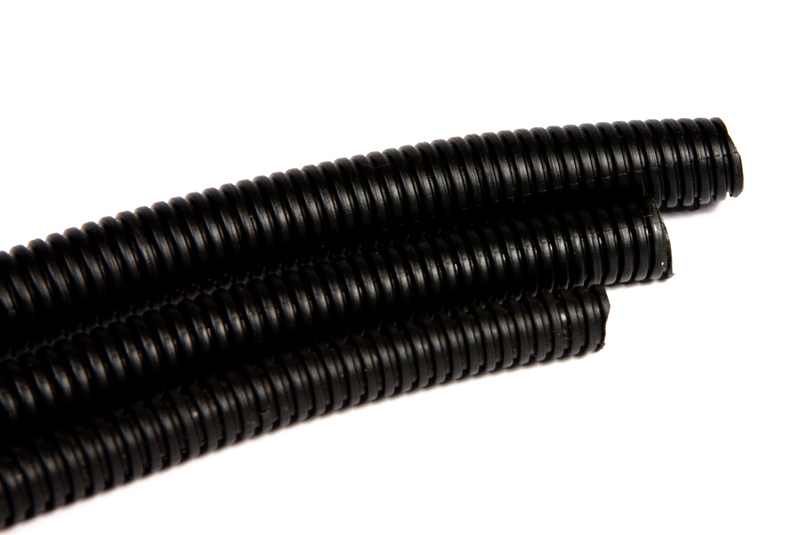 Available in Bulk Rolls:Each size available in 10M, 25M and 50M lengths. misuse, poor maintenance, or aggressive working environments. 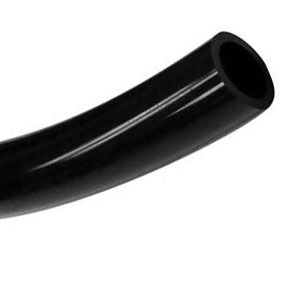 Available in Black Pigs Tail: UV resistant and has a maximum working temperature 70°C. The standard colour is black however, it is also available in red, blue, yellow and ananti-static fire resistant material on special request. harnesses, motorboats, all-terrain vehicles, truck harnesses, aircrafts, motorhomes and other transportation. Available in Bulk Rolls: Sizes and lengths vary depending on the size of the tubing, available from 25M up to 500M. The Harness flex system offers extreme versatility for both harness manufacture and general purpose applications. Can be used on appliances such as automotive wire and cable sleeving, computer equipment, medical devices, machineries, wire conduits and more. 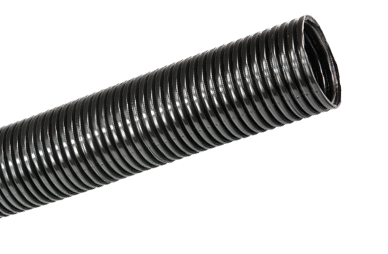 The corrugated construction provides good flexibility and low weight, durable, long lasting conduit that is rugged yet flexible. Available in Bulk Rolls: Sizes range from 12mm through to 40mm. What are Snap Bushings Used for?